With a list of activities far too numerous to mention them all, but with our specialist knowledge of the area, we can (and have) organised some outstanding events for our guests in the past. There's fishing, boating, swimming, tennis, skiing, golf (with many courses in easy reach), off road driving, shooting, walking, bird watching, badminton and much more …. there's even 'Nessie' watching if it takes your fancy! Take a trip on the Moray Firth with one of the Dolphin watching excursions. With over 25 golf courses within one hour to suit all standards and budgets Nairn is without doubt the capital of Golf's Northern Mecca. Both courses in Nairn are championship and an absolute must for any golfer. Castle Stuart is the magnificent new golf course built between Nairn and Inverness and opened in July 2009. Cawdor Castle dates from the late 14th century and was built as a private fortress by the Thanes of Cawdor. The ancient medieval tower was built around the legendary holly-tree. No name in Scottish history evokes more emotion than that of Culloden, the bleak moor which in 1746 saw the hopes of the young Prince Charles Edward Stuart crushed, and the end of the Jacobite Rising, the 'Forty- Five'. The prince's forces, greatly outnumbered by those of the brutal Duke of Cumberland, nevertheless went into battle with a courage which has passed into legend. The Trust has restored the battlefield to its state on that fateful day, and the stunning new Visitor Centre has a permanent exhibition of weapons and objects associated with the Rising, as well as an audio-visual programme in six languages, bookshop and self-service restaurant. There is a raised map for the visually impaired, an induction loop and audio-visual channel for the hard-of-hearing. Guided tours of the battlefield and Living History display in Leanach Cottage during the summer. Brodie Castle is located 4.5 miles west of Forres and 24 miles east of Inverness on the east coast of Scotland. Having been badly damaged by fire in 1645, the castle was later rebuilt. The lime-harled building is a typical Z plan tower house with ornate corbelled battlements and bartizans. If you know where to look, you can see cannon drain spouts and a sun dial built into the side of the keep. Today you can visit in the interior with its unusual plaster ceilings and see French furniture, paintings, European and Chinese porcelain, Japanese artefacts, toys and much, much more. There are many rooms open to visit on several floors so you need to allow a good hour to look around everything. If you are interested in furnished interiors (as opposed to old castle ruins) then you will certainly enjoy your visit. At the end of your tour, don't forget to carry on through the tea room to the old kitchen and then when you exit the gift shop, the old dairy is outside to your left. There's also a picnic area, tea room and gift shop, adventure playground with timber fort for the kids, woodland walks, gardens and a lake. If you have chance to visit during the Spring, the famous collection of daffodils will be in full bloom. Various events are hosted here throughout the year including theatre, musical events, teddybears picnic, ranger walks, flower festivals. Fort George sits behind its massive grass-topped artillery defences on an isolated spit of land jutting into the Moray Firth at Ardersier, 11 miles north east of Inverness. Conceived in the immediate aftermath of the 1745 uprising and the nearby Battle of Culloden that concluded it, Fort George was intended to be a once and for all solution to the threat posed by the Highlands, and the Jacobites in particular. The Fort was built as a "state of the art" artillery defence to the design of William Skinner, by a team led by William Adam. Work began in 1748 and the final cost, of well over £200,000, was double the original budget and more than Scotland's annual GDP for 1750. The end result was nearly contemporary with, but utterly different from, later phases of development at castles like Stirling and Edinburgh. The Highlands had given concern to the government since the Middle Ages. The inhabitants were viewed as generally unruly: but disaffection following the Cromwellian military occupation made matters worse. This led to the building of a large artillery fort at Inverness and a smaller one at Inverlochy. 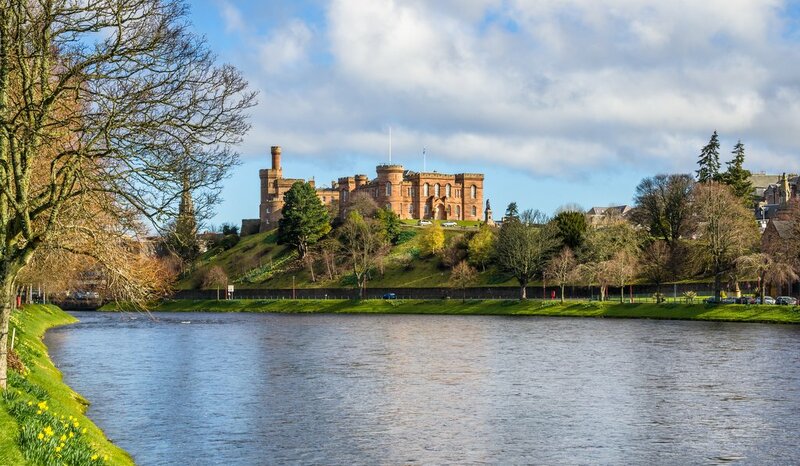 These both fell after the restoration of Charles II and though Inverlochy was rebuilt as Fort William, Inverness remained in ruins.Fort George offers a fascinating day out.. Follow the Whisky Trail and sample some of Scotland's best known malts including Glenfiddich, Glenlivet, Glenfarclas, Cardhu, Dallas Dhu, and Strathisla. Closest to Nairn is Benromach in the neighbouring town of Forres. This distillery has an excellent visitor centre with well informed tours and whisky tasting whilst enjoying an informative DVD on the various Malts. Kilravock Castle (pronounced 'Kil-rock') dates from 1460. It is a unique and friendly Christian guest house in a truly historical environment. 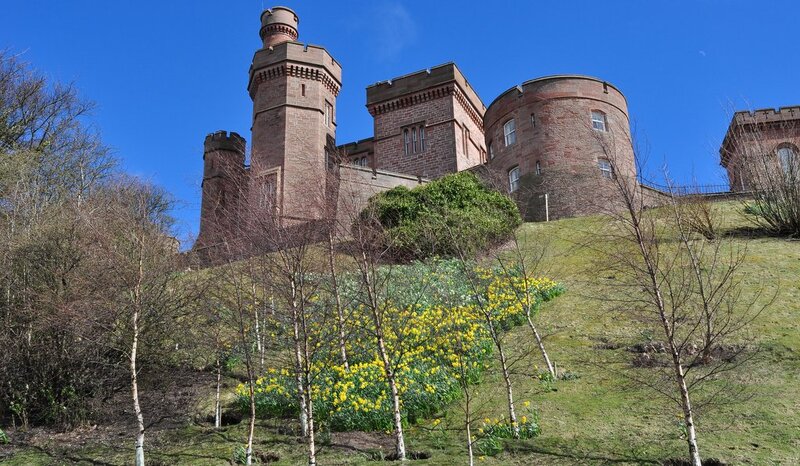 The castle is situated between Inverness and Nairn, close to the Moray Firth with its stunning white sandy beaches, seals and dolphins. Cairns, Clans and Culloden: Experience five thousand years of Highland history in one day. Start the day at the enigmatic Clava Cairns, close to Culloden Battlefield. The style of these stone burial cairns (dating back 5,000 years) is unique to the Inverness area, and recent research suggests that they may have been built by a prosperous early farming community for ceremonies linked to the winter solstice. Then visit Culloden Battlefield itself to learn the story of the last battle fought on British soil between the Jacobite army of Bonnie Prince Charlie and the troops of the British Government. A visit to nearby Fort George - a spectacular fortress built to keep rebellious Highlanders in order - gives a fascinating glimpse into the military history of the Highlands from the 18th Century onwards. A Monster Day Out: On the trail of the famous Loch Ness Monster. Nessie - and lots more besides: Discover the famous and not-so-famous attractions of the Loch Ness area. From Inverness follow the A82 to Drumnadrochit along the banks of Loch Ness. 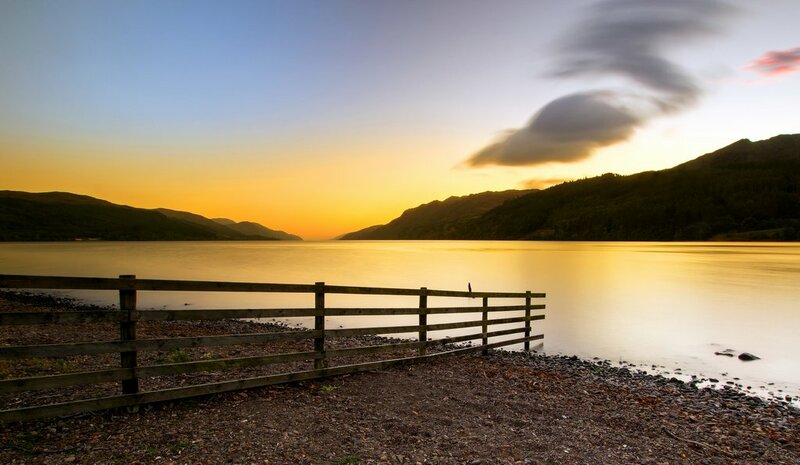 Stop off at the award-winning Loch Ness 2000 exhibition to find out more about this fascinating lake (and its famous monster) from pre-historic times onwards. Then it`s on to Urquhart Castle for panoramic views over the loch, great photo-taking opportunities - and the story of one of the most important medieval castles in the Highlands. From Urquhart Castle, follow the A82 to the attractive lochside village of Fort Augustus, where an impressive flight of canal locks allows boats to move between Loch Ness and the Caledonian Canal. Return to Inverness by the B862 to Whitebridge and Foyers, and enjoy a scenic drive via Highland moors and lochs. Stop to see General Wade`s Bridge at Whitebridge (built as part of an 18th Century road network to allow government troops to move swiftly to control rebellious Highlanders) then enjoy the woodland walks and waterfall at Foyers, From Foyers, the road follows the banks of Loch Ness for superb views of the loch and Urquhart Castle. Great walks and panoramic views can also be enjoyed from the forest trail network at nearby Inverfarigaig. On the way back to Inverness, look out for the special rope bridges for red squirrels installed to help them cross the road safely! Nairn in a nutshell: Enjoy a day of seaside fun and forest rambles. Explore Nairn, with its old fishertown, museum, beautiful beaches, range of seafront leisure facilities and its championship golf courses. Then head for nearby Culbin Forest, with its network of waymarked trails. It`s an area of outstanding beauty for walkers and nature lovers with way-marked trails, with many species of native flora and fauna as well as large numbers of visiting and migratory birds.